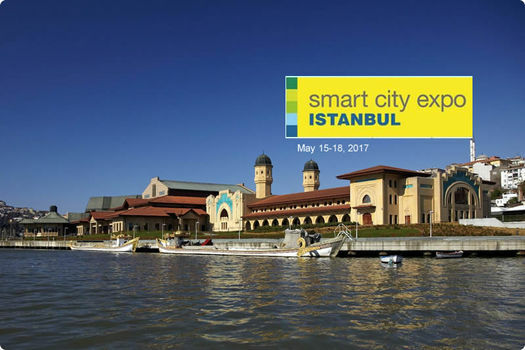 International event called “World Cities Expo Istanbul” to be held in Istanbul on May 15-18, 2017. Istanbul Metropolitan Municipality is preparing to hold a major event under the title “World Cities Expo Istanbul 17” at HALİÇ Congress Center on May 15-18. The giant event is supposed to bring together nearly 3,000 business people and more than 300 international and national members of the press as well as over 10,000 professionals. On the other hand visitors will be able to see more than 100 global and local companies expected to attend the event with nearly 10 national pavilions to underline "Smart Cities" concept. The event is to be organized as part of the Big Smart Istanbul Project introduced by the Metropolitan Municipality to offer innovative solutions for Istanbulites in the fields of transportation, energy and environment. It is reported that the goal is to upgrade the project to an international level with the World Cities Expo. The international press launch for the expo was held in Barcelona on Wednesday during the Mobile World Congress (MWC2017) bringing the world's technology giants. IBB Secretary General Hayri BARAÇLI who spoke at the press conference emphasized that municipalities all around the world were expected to spend more money so as to turn their cities into smart cities and ease the life of their citizens. Mr. BARAÇLI went on to say "Today global cities are projected to allocate $1.5 trillion in resources by 2021 on the path toward becoming smart cities," and added that such cities were expected to provide $22 trillion in savings by 2050 with big initiatives such as public transportation systems and energy-saving buildings. IBB Secretary General commented everybody had a very important role to play in these efforts and concerned duties primarily included the exchange of knowledge and experience between countries and cities. Mr. BARAÇLI also said it was necessary to expand smart city practices to all cities in the world and it was crucial to raise awareness among city residents. He added “With this in mind, we, as the Istanbul Metropolitan Municipality, are organizing World Cities Expo Istanbul". The secretary general also provided information about the Big Smart Istanbul project. He said the project included eight phases with the target to complete it in 2018. He added the municipality was currently undertaking the third phase of the project with World Cities Expo Istanbul.